Crep Protect harnesses the water repellent, self-cleaning nature of the Lotus plant; which is commonly known as the Lotus Effect. Using revolutionary Nano Technology, Crep Protect creates an invisible, optically clear, protective barrier that beads liquids, reducing stain and dirt deposits. Treated surfaces repels most liquids making cleaning as simple as using a damp cloth. This durable treatment can last for long periods depending on usage. 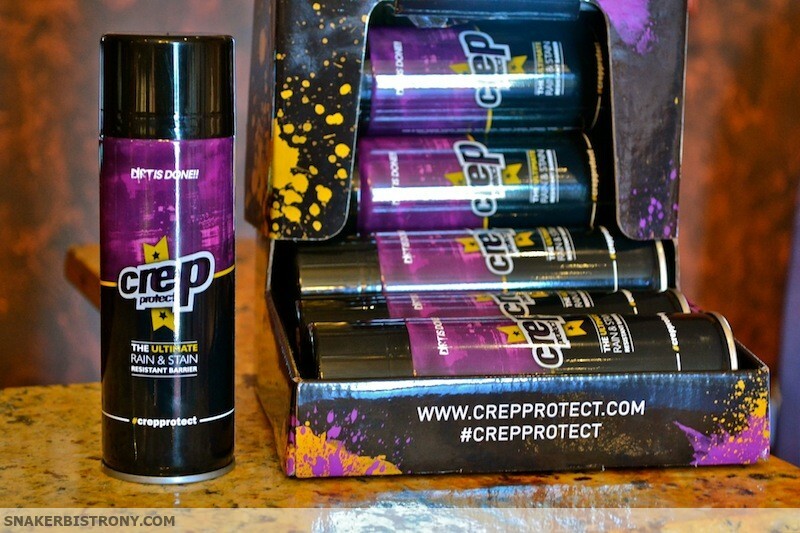 Crep Protect is extremely quick drying and simple to apply. Crep Protector ($200ml) is now being served here at The Bistro for $15.